The UK's only and biggest dedicated National supplier of London Pie and Mash. 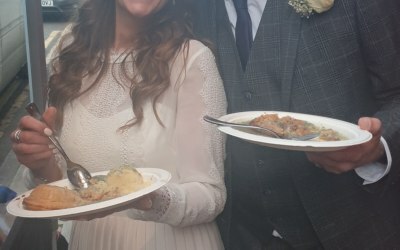 Specialising in the great London traditional meal we will provide a truly authentic experience for your event, Nationwide. 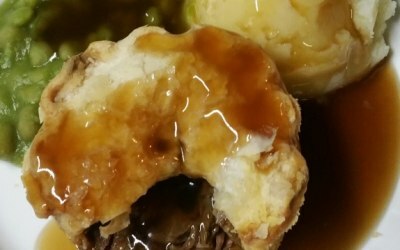 We are the only dedicated National supplier of pie and mash specialising in preparing and selling authentic recipe London Pie and Mash with lashings of liquor or gravy! We cover the whole country, no distance is too far for us as we staff and kitchens the length of the country. 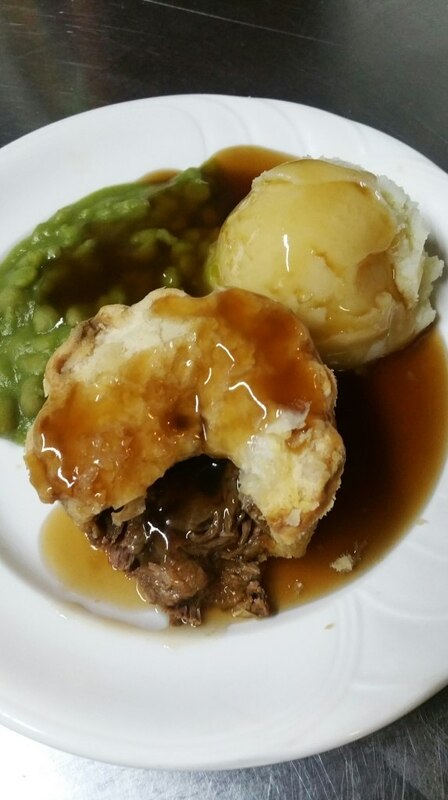 As well as the famous London pie we have a enviable range of regionally inspired pies are all hand made using traditional techniques and each pie is hand crimped and can be supplied in a variety of flavours, including vegetarian, vegan, halal and gluten free. If you have a specific flavour in mind let us know and we can probably make it for you! 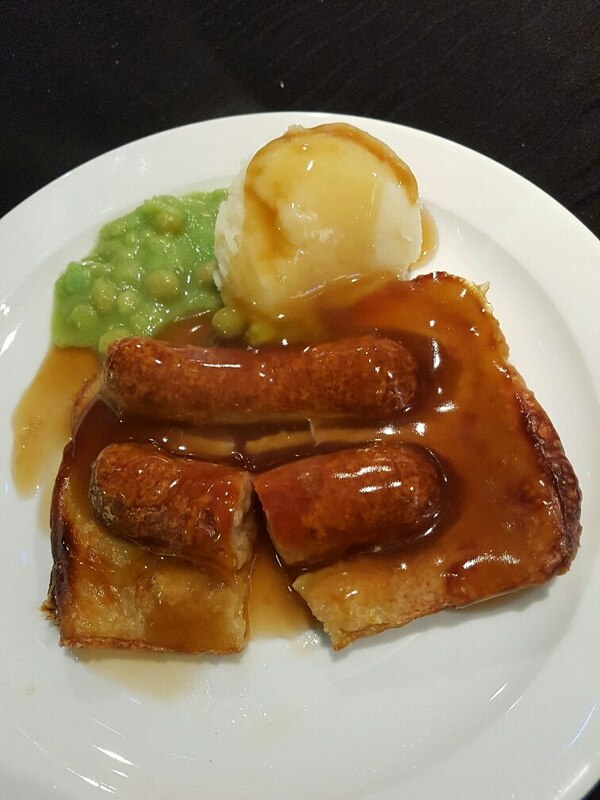 We provide a full menu of canapés, starters, desserts and main course alternatives to pies such as sausage and mash or toad in the hole. 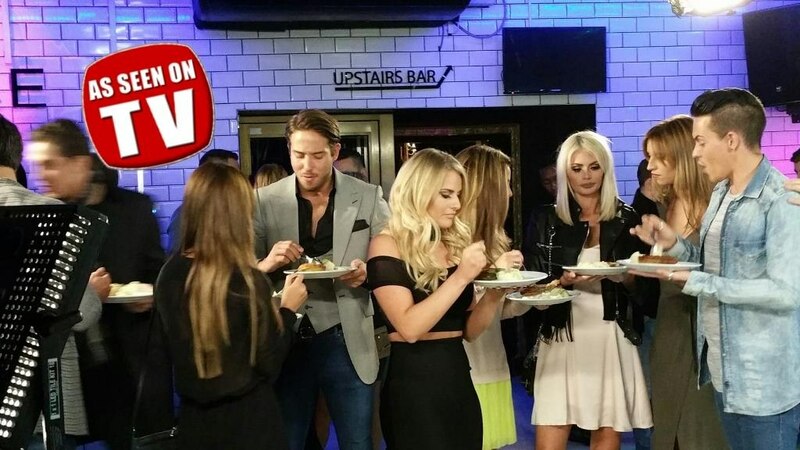 We are a specialist and dedicated caterer providing services to festivals, commercial events, weddings and private parties, and yes, we were the pie and mash suppliers for TOWIE, so you may have seen us on TV! As well as Twickenham, West Ham United and Fulham FC. Pie and mash has a strong and knowledgeable audience, as our 15,000+ followers on social media like to remind us! There simply isn't the option to get it wrong, use cheap ingredients, divert from a traditional receipe or provide a bad service. 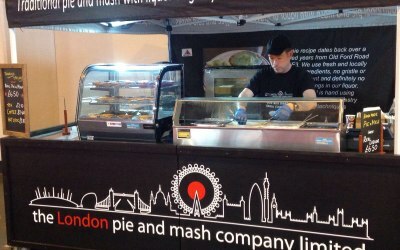 If you book The London Pie and Mash Company for your event you will be getting the real deal and will not be disappointed. 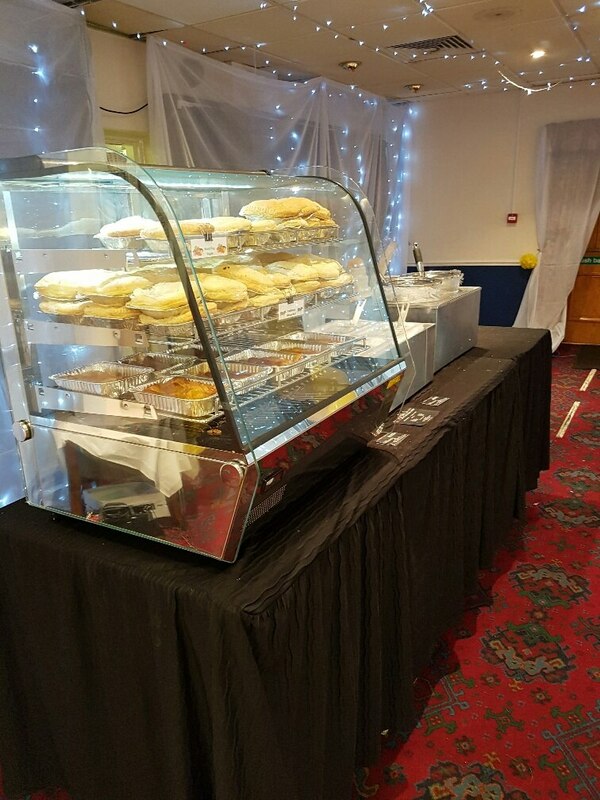 From large to small, we have multiple teams and set up options to fit every requirement from a simple tabletop to 3 and 6 metre marquee settings right through to our purpose built 6 metre mobile kitchen. 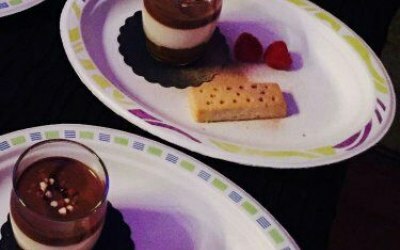 We offer a complete catering service including: additional courses, crockery hire, buffet or table service, bar management, using all our own trained staff - not agency, so service is always exceptional. We now offer a fully staffed and licenced bar services through our sub company Tinos Bar Services, saving you risk, time and money. 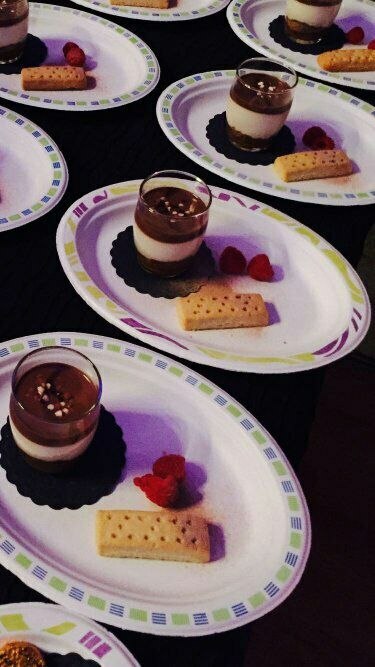 We can cater for weddings, corporate events, festivals and private parties. We have a mail order service from our website plus can provide a traditional London knees-up with pearly kings and queens and a range of traditional entertainers! Excellent in every way! Definitely recommend. The whole service was fantastic. Great communication, great quality tasty food. 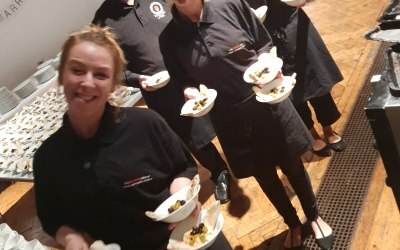 We received so many compliments for the quality of food, there was plenty to go round to everyone and they worked with us to ensure we trayed up portions so we could hand this round to those unable to queue at the van. Definitely would use again, such a nice bunch of people. Excellent communication up to the day of the event, then due to traffic there was a late arrival and so we had to push the meal back 30 mins. I had to call to find out what was happening. The team that arrived did a great job, very accommodating and helpful. The London Pie and mash company were fantastic. 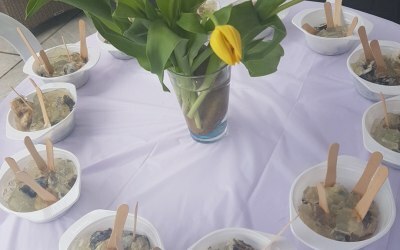 The food was great and everybody enjoyed it. Thank you Stuart, it was our pleasure to look after you and your colleagues. We cannot thank Olac and his team enough for catering our sons christening. Right from the start the London pie and Mash company have been excellent at communication and very helpful. On the day we had 54 guests and they were all fed promptly with delicious pies and accompaniments. All our guests enjoyed the food. We would definitely recommend them for an event and will use them again in the future. Great food and great value! Oleg was brilliant, he kept me updated on the run up to my event. 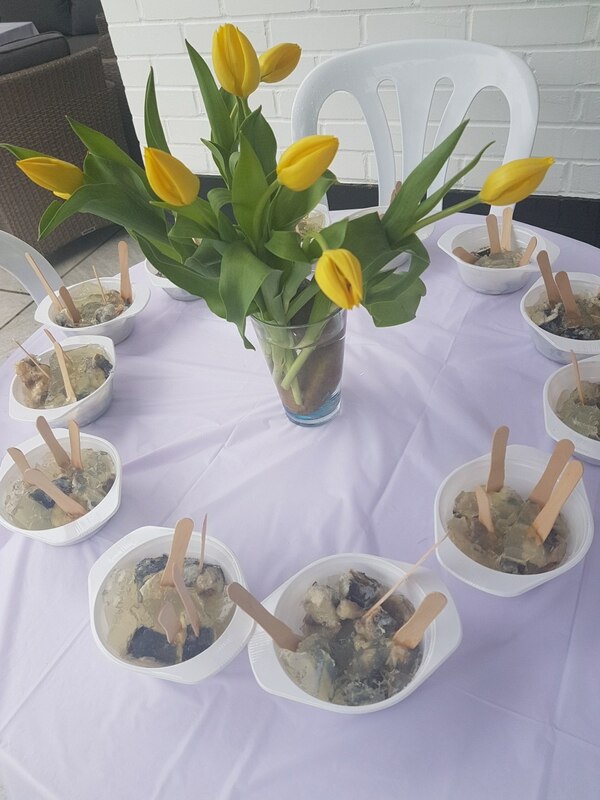 The food was fantastic and had all my guests talking about it. Oleg catered for 45 guests at my home for my daughter's christening, he set up his marque on my drive way and cooked the food there and then, it was a great experience, a great service and delicious food. Thank you and I will use your service again in the future. 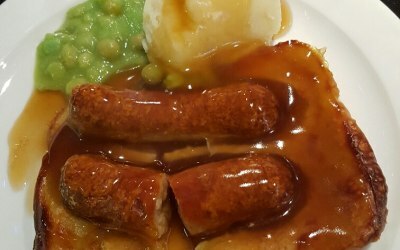 We booked the London Pie and Mash Company as they appeared to be the only dedicated company selling traditional and authentic London pie and mash with liquor on the internet. We are so pleased we did. 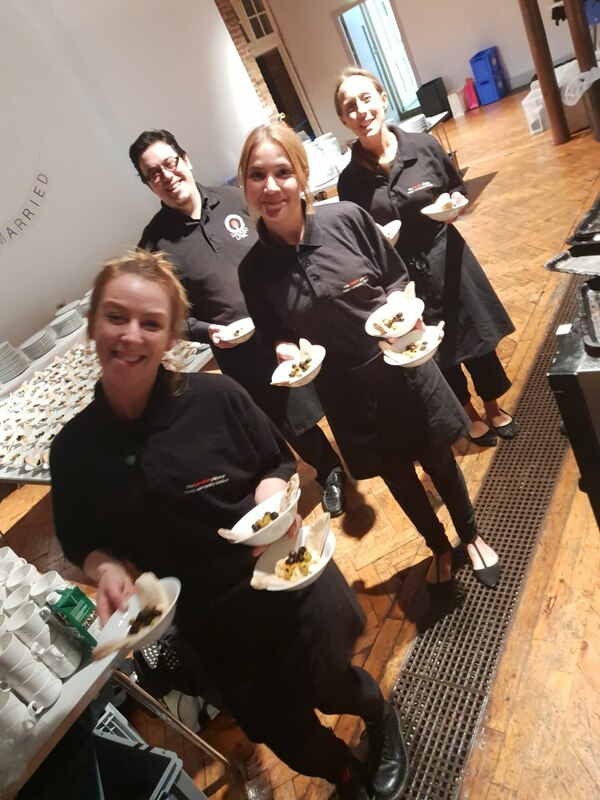 At every stage the company filled us with confidence that they would deliver and their professional approach was clearly reflected in the food. The team all arrived prompt, uniformed, and clearly knowledgeable about their service and the history of the food as lots of guests asked. I've eaten a lot of pie and mash at the famous established restaurants and I'd say this was just as good, if not better than that served in a restaurant. For a great authentic meal I cannot fault the London Pie and Mash Company at all and highly recommend them. Fantastic Services and great food! 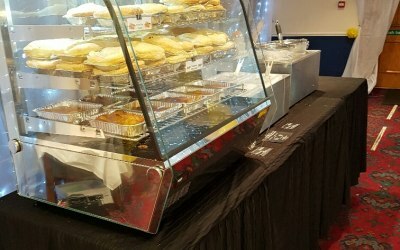 The London Pie and Mash company were brilliant for our charity event and every one thoroughly enjoyed the delicious food! 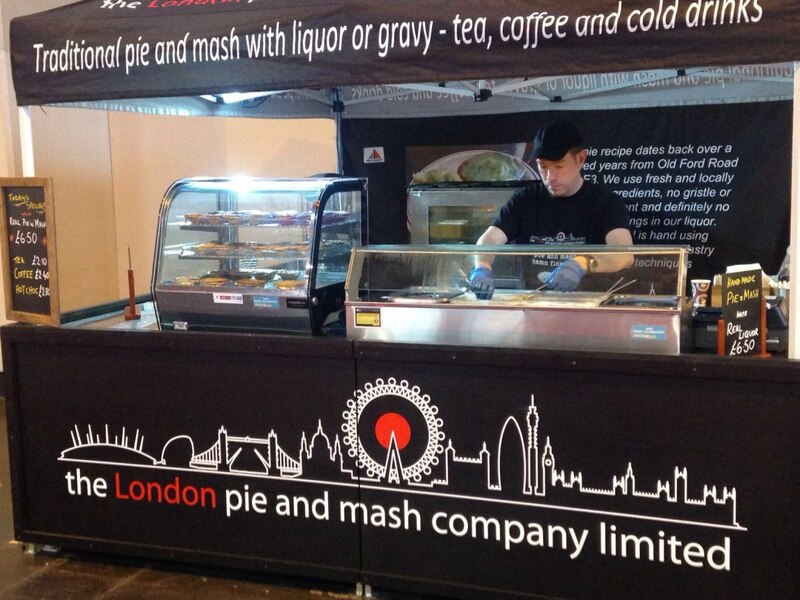 Get quotes from The London Pie and Mash Company Limited and others within hours.